FOUNTAIN HILLS – Thunderbird Artists continues to receive industry accolades – this time, the family-owned business is the only Arizona producer of fine art festivals to be included in Greg Lawler’s ArtFairSourceBook.com (AFSB) ranking of the 2019 “Premier 100” Fine Art Events. Rankings are based on artists’ net average sales at each show. All three Thunderbird Artists Carefree Fine Art & Wine Festivals ranked within the top 55, with the November fall show scoring the No. 2 spot, behind La Quinta Arts Festival in California. The January winter show ranked No. 45 and the March spring show ranked No. 53. Now in its 25th year, Greg Lawler’s Art Fair SourceBook (AFSB) exists to create an independent, one-stop resource for artists and artisans that will best enable them to confidently, efficiently, and effectively select the events most likely to optimize their profits. Judi Combs, Thunderbird Artists’ founder, said the jurying process helps to ensure that each show features original, high-quality fine art. “Our focus has always been on producing high-caliber events, and we’re very proud to be recognized on what many consider to be the Blue Chip 100 list of fine art events,” she said. Thunderbird Artists’ November Carefree show was also recognized by Flight Network as one of “North America’s Best Festivals” in 2018 and 2019. 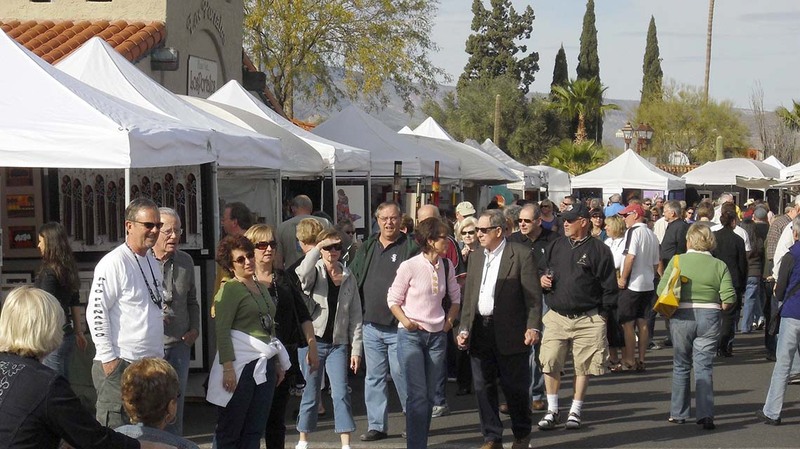 With art season in full swing, Thunderbird Artists is gearing up for three more events: the 8th Annual Scottsdale Waterfront Fine Art & Wine Festival on February 8, 9 & 10; the 24th Annual Spring Carefree Fine Art & Wine Festival on March 1, 2 & 3; and the 15th Annual Fountain Hills Fine Art & Wine Affaire on March 8, 9 & 10. For more details, visit www.ThunderbirdArtists.com or call (480) 837-5637.